Hill stations conjure to mind an image and experience of cool mountain breeze, carpet of greenery to cool your eyes and a magical mist that takes you to a place like nowhere else.Hill stations in South of India offer all that and much more. And in fact, there’s more to South India’s hill stations than Ooty, undoubtedly one of the most popular hill station in South India. Just like how Shimla is not the only hill station in North India. Land to the south of the Vindhyas is equally rich in topography and vegetation and the kind of views you get on some of these hill stations are truly mesmerizing. Here’s my list of ten scenic hill stations in South India that will inspire you to sing out loud ‘the hills are alive with the sound of music’. 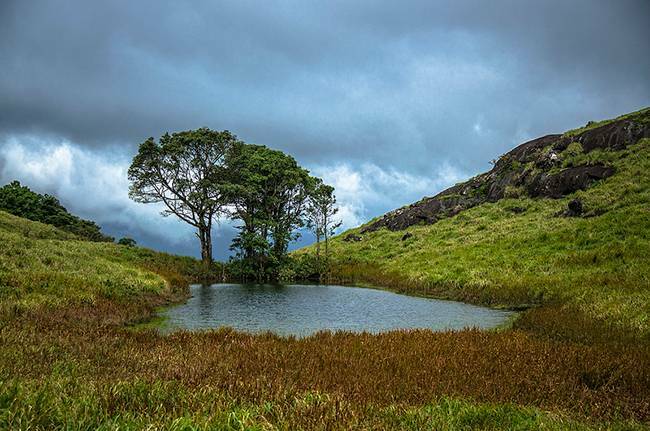 Located 260 km from Bangalore, Chikamagalur is an ideal weekend getaway. The town is at the foothills of Baba Budan Giri mountain range of Western Ghats and is renowned for its coffee plantations. It is believed that Chikamagalur is where coffee was first grown in India. Mullayanagiri, Karnataka’s highest peak is in Chikamagalur district and the town is ideal for relaxing on coffee plantations, trekking and visiting waterfalls like Jhari falls and Honnamana Halla falls. 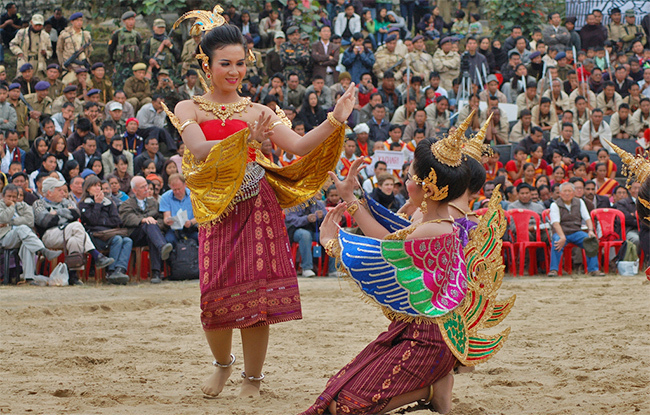 It enjoys a year-round pleasant weather, and it usually experiences heavy rains during peak monsoon season. Wayanad is about 280-300 km from Bangalore and is a beautiful green entrance to God’s own country. Visit plantations where tea and coffee, pepper, cardamom, areca nut, bananas and coconuts are grown. Also check out Lakkidi point, Banasura Sagar dam, Pookode lake, Soochipara waterfalls, Meenmutty waterfalls (Kerala’s second largest waterfall) and Muthanga wildlife sanctuary. 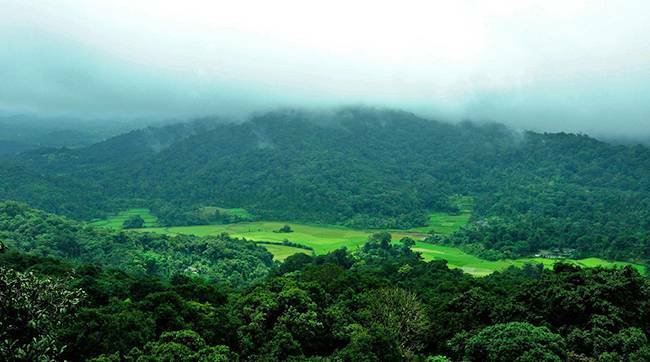 Wayanad is lush green during the heavy monsoon rains and hot and humid during the summer months. 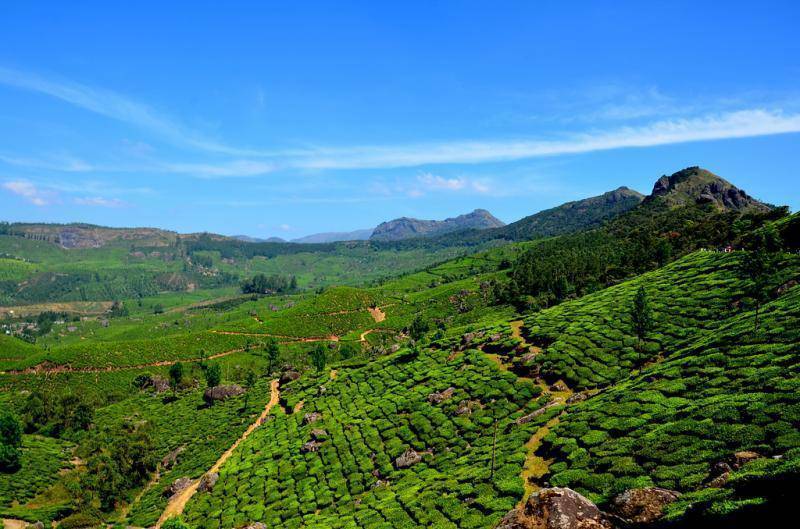 Munnar, in Kerala, is a must-visit for nature lovers. 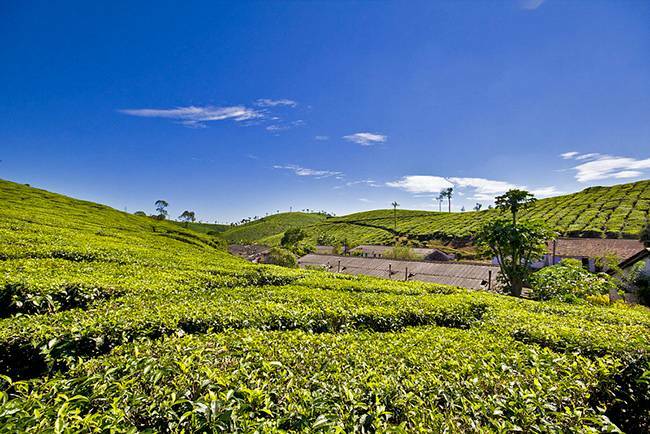 Sprawling tea estates, fresh mountain air, foggy landscape that adds to the beauty. Munnar is perched at an altitude of 1600 mts above sea level and provides a much needed respite from the heat as well as regular monotony of urban life. 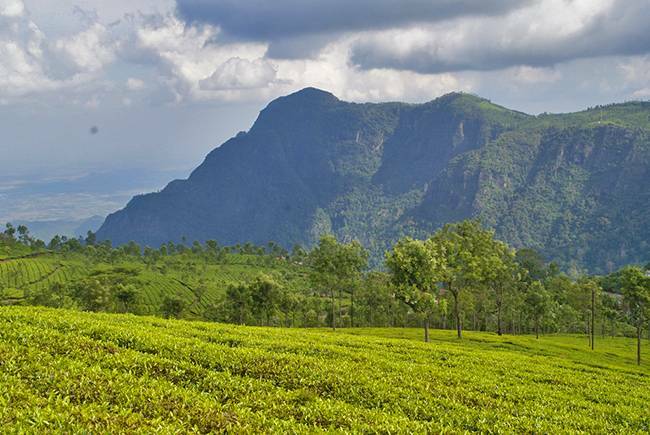 Munnar is about 520 km from Bangalore and can also be reached by train. When in Munnar, visit powerhouse dam and waterfall, Mattupetty Dam, Devikulam, Kundala lake, Kolukkumalai Tea Estate and several vantage points that offer stunning views of the valley and their vegetation. Ooty is probably the most popular hill station in South India and while it is teeming with tourists, especially during peak holiday season, it has still retained its charm. 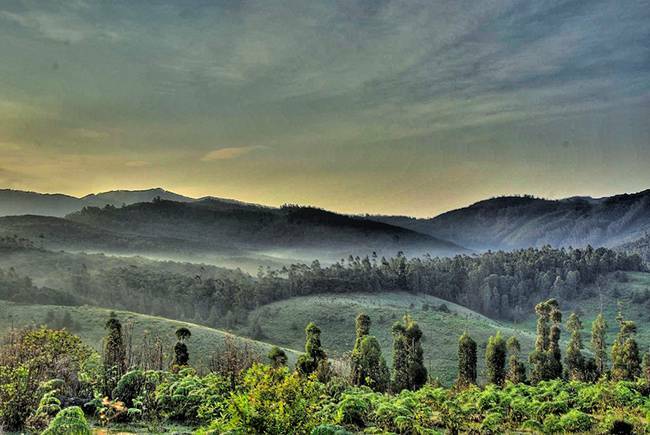 Ooty or Ootacamund or Udagamandalam is also given the moniker – Queen of the Nilgiris. Verdant mountains, lush green vegetation and charming cottages that dot the hill station are much coveted by travelers looking for relaxation. 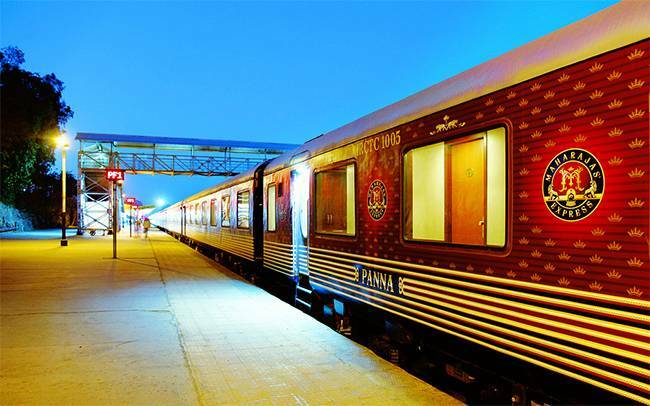 Ride the famous Nilgiris toy train, visit the botanical gardens, view the valley from Dodabetta, enjoy a safari in Madumalai forest and enjoy the hill station in all its glory. Coonoor is located downhill from Ooty, about 17 km away and is considered by many as a quieter and more romantic version of Ooty. 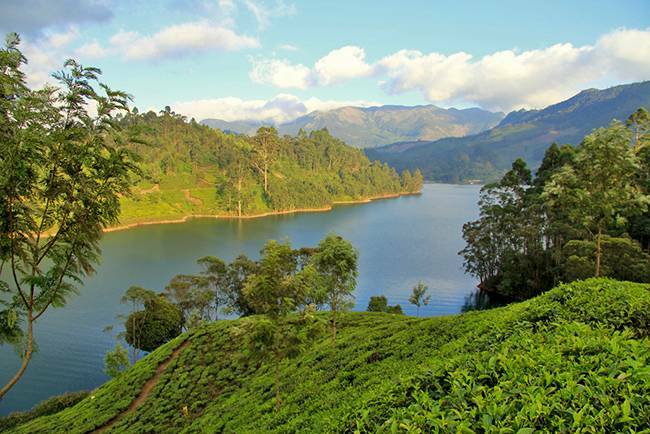 It is a charming hill station located amidst the Nilgiri hills and is known for its stunning views of the mountains and tea plantations, misty atmosphere and cool climate. Coonoor takes you back in time, with its old, British-style cottages and bungalows. 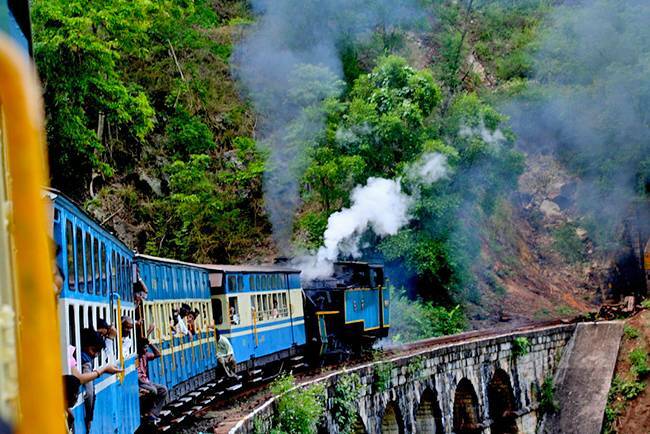 Take the Nilgiri toy train from Ooty to Coonoor and enjoy the ride. Also enjoy bird-watching, trekking and hiking as well as drive down the narrow winding roads and take in the scenery. Coorg, a popular weekend getaway destination from Bangalore, is rightly know as Scotland of India. Waterfalls, lush green valley, coffee and spice plantations, unbeatable weather and warm hospitality of Coorgis, this charming hill station has it all. Enroute to Madikeri, the capital of Coorg is Kushalnagar, where there is a Tibetan Buddhist monastery, which is a must-see. Also visit Dubare elephant camp and Kaveri Nisargdhama if you are interested in wildlife and nature. Raja’s Seat in Madikeri is a popular park and vista point and offers unmatched view of the valley. Trekking and hiking or going on nature trails, white water rafting, and simply relaxing at a homestay and relishing local food, you can do it all at Coorg. If Ooty is the Queen of Nilgiris, Kodaikanal is the Princess. Kodaikanal is a beautiful hillstation in Tamil Nadu and is renowned for its rich flora. The area is surrounded by tall trees, including eucalyptus, acacia, cypress, pear, rhododendron and magnolia. There are numerous attractions for tourists, including Kodaikanal Lake, Bryant Park, Bear Shola Falls, vista points such as Dolphin’s nose and Pillar Rocks, Kodaikanal Solar Observatory and Kurinji Andavar Murugan temple. There are numerous accommodation options as well as local sightseeing options in Kodaikanal. 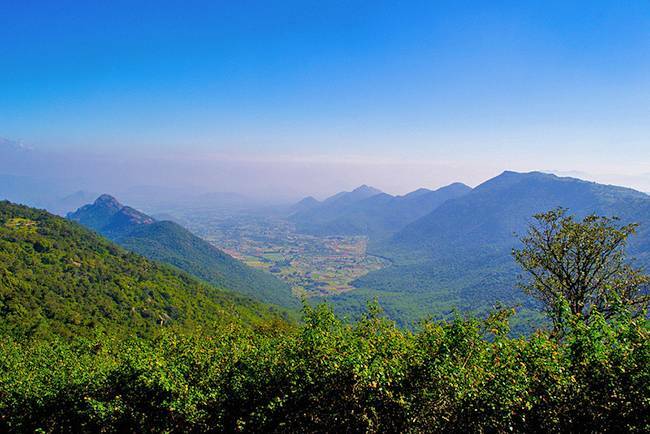 Yercaud is an unassuming and quiet hillstation on the Shevaroy hills in Salem district of Tamil Nadu. Yercaud enjoys a pleasant climate throughout the year and is very rich in flora. Yercaud is also known for oranges, which are grown in abundance in this region. Yercaud Lake is a picturesque lake surrounded by dense forest and lush green foliage and offers boating opportunities to tourists. Other popular attractions include Lady’s Seat, Killiyur Falls, Bear’s Cave, Pagoda Point, Silk Farm and Rose Garden as well as The National Orchidarium and Botanical Garden. Ponmudi is an idyllic hill station located about 61 km from Thiruvananthapuram surrounded by lush green forests. 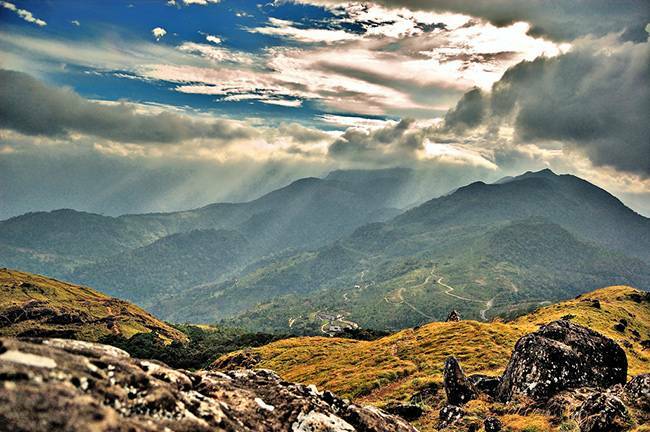 Situated at an altitude of 951 ft, a lot of trekking and hiking enthusiasts visit Ponmudi. The area is rich with wildlife and has a diverse bird population. Kallar and Meenmutty falls are also popular attractions. Peppara wildlife sanctuary, located in the vicinity is spread over 53 km and is home to Malabar Grey Hornbill, Asiatic elephants, sambar, lion-tailed macaque and leopards. Vagamon is a quaint hill town located in Kottayam district, surrounded by beautiful green valleys, misty mountainside, acres of tea plantations and colorful fragrant flowers. 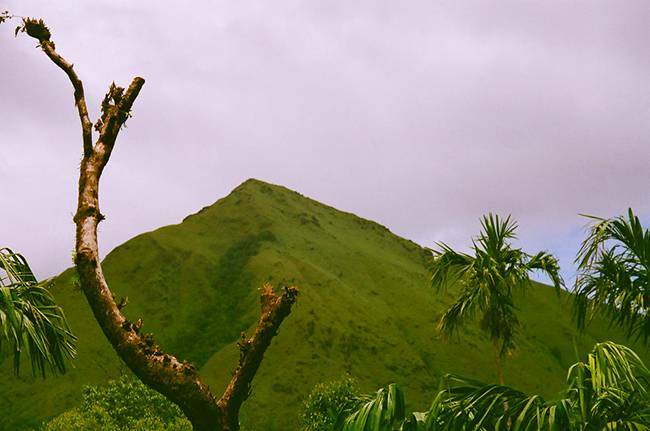 Vagamon is also heaven for adventure tourists, with exciting opportunities for trekking, hiking, rock climbing and paragliding. Places to visit include Kurisumala ashram, Vagamon meadows, and the valley of pine forests, Thangal Hill, Mooppanpara vista point and Murugan Hill.